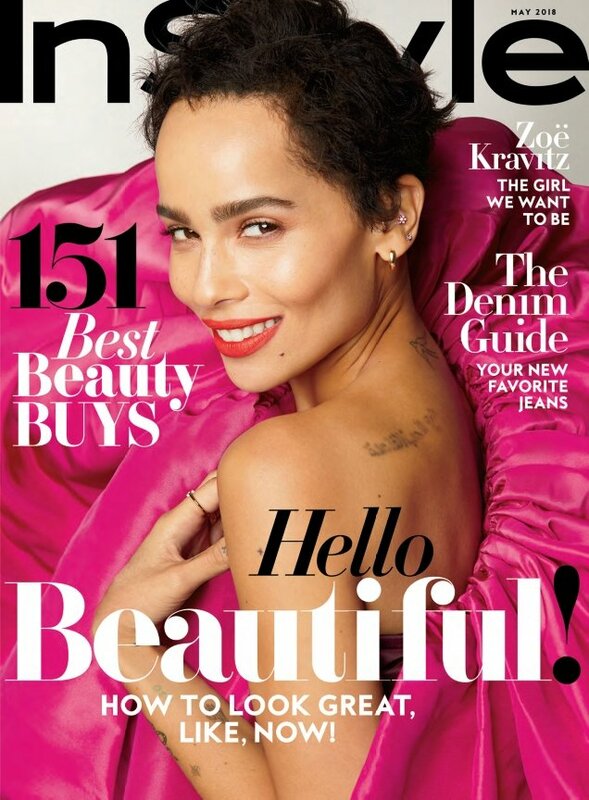 You’re no doubt used to seeing Zoe Kravitz in a certain way on the covers of mainstream fashion glossies. ELLE went minimal with the American actress in January and British Vogue favored the grunge look last October. This month, InStyle decided to take the glamorous route for its May 2018 cover shoot, dressing the Saint Laurent brand ambassador in a show-stopping fuchsia Valentino Haute Couture creation in the newsstand cover (below), photographed by Anthony Maule. Members of our forums were pleasantly surprised by InSyle this month. “I love this! She’s stunning and the styling is perfect,” raved gunsnroses. “What a beautiful photoshoot! She’s glowing, that contagious smile on the main cover is certainly appealing,” added apple. “Love it and love her!” Handbag Queen declared. “I think Zoe is beautiful, and I’m thrilled to see her on the cover,” SallyAlbright confessed. Guess we’ll race you down to the newsstand! See more covers for the issue, check out the rest of Zoe’s shoot and share your thoughts here. Karl Lagerfeld Photographs Luna Bijl for Two Covers of Vogue Germany May 2018Is This the Best Town & Country Could Do With Cindy Crawford?